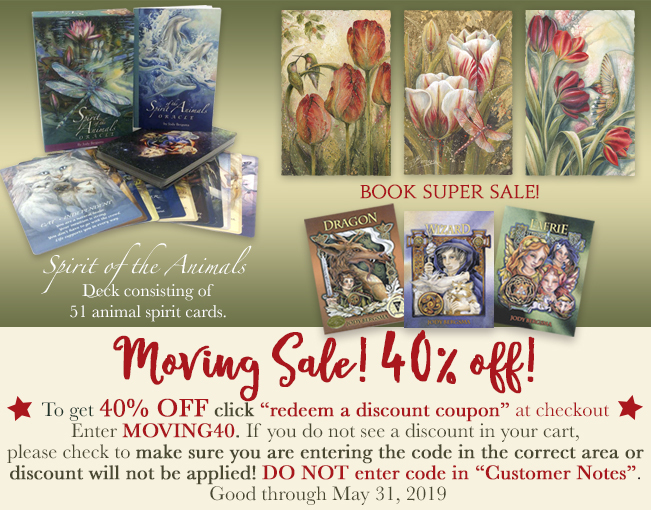 Jody Bergsma NW Watercolor Artist.... Bergsma Gallery Press, Inc.
Jody has a diverse painting style that has developed over many years and literally thousands of paintings. Her earliest works were charming children's illustrations that she sold at Northwest art shows to pay for her education. Jody's watercolor technique is self taught. Her engineering degree is reflected in her composition and demonstrates Jody's love of mathematics and geometry. She seamlessly blends these elements with her imaginative inner visions to create her unique style. "Art is a tradition that helps define who we are and brings us a vision of who we can become. My painting is my expression and request for a more beautiful, peaceful and harmonious world." Our warehouse showroom, located in Bellingham WA offers a peek at Jody’s extensive portfolio and current products. We also have a custom framing department for any of your artwork needs. Want to carry Jody’s products? Please contact lanette@bergsma.com for wholesale information.